The Sahtu region is a gateway to important, pristine and world-class experiences featuring flightseeing, hunting and sport fishing, canoeing, hiking, touring, fossil hunting and nature tour activities with unique access to many of these opportunities through Norman Wells. 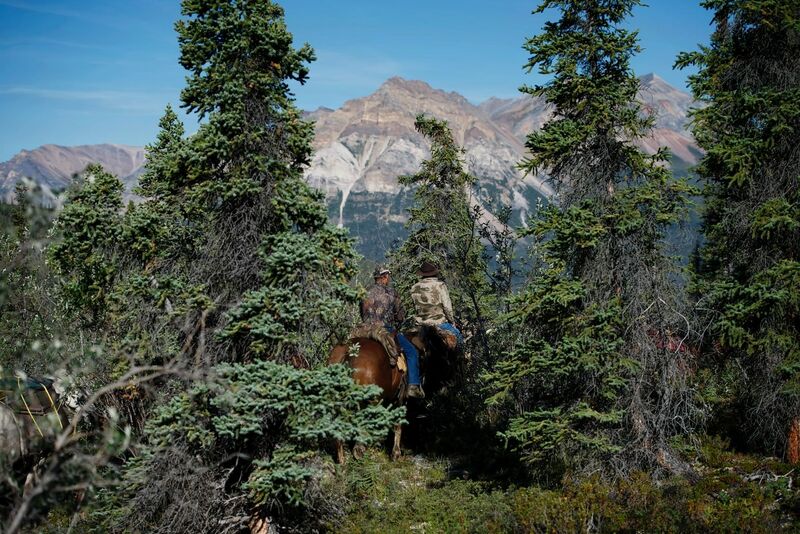 Whether it is canoeing or kayaking our challenging northern rivers, hiking the Canol Trail, hunting for Dall Sheep, caribou or moose, or catching that elusive record-breaking fish, we can take you where you want to go. There are many points of interest: the Canol Trail, Great Bear Lake, Colville Lake, Fossil Canyon, Vermilion Creek Sink Hole, the Ramparts and Sans Sault Rapids, Carcajou Canyon, Palmer Lake, Dodo Canyon and Bosworth Creek Falls. Visitors can experience many of these with our Tour Packages. 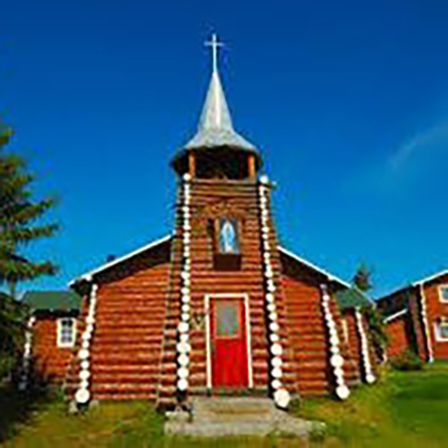 Our communities have First Nation cultural and historic experiences to offer including Our Lady of Fort Good Hope Church, Bern Brown’s Northern Museum, Our Lady of the Snows Log Church, Grey Goose Lodge, the Deline Prophet’s House, Scented Grass National Park, Grizzly Bear National Park, the Tulita Anglican Church, and the lore of explorers Franklin and Mackenzie. Norman Wells is the central base of operations for North-Wright Airways. All flights originate out of Norman Wells to service the surrounding communities. Oil exploration and drilling is the primary industry in town. The community has a rich young history which includes the development of the oil industry and Canol trail. Visit the first class museum and learn more about the history of the town and surrounding Sahtu region. Many explorers have come through the area and evidence of their presence is still visible in the area. Norman Wells is situated on the Mackenzie River between the Franklin range and the Mackenzie Mountains. The view and sightseeing is nothing short of breathtaking. Whether in town for business or pleasure be sure to find out some of your sightseeing options. 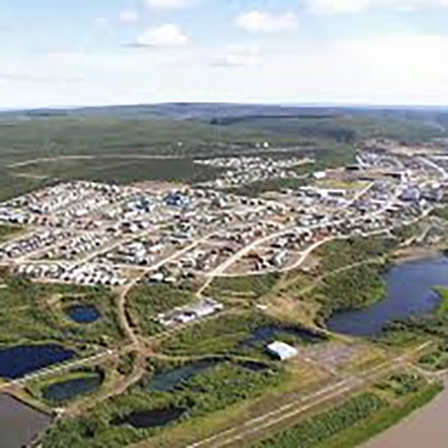 Inuvik is situated on the east arm of the Mackenzie River 300 miles northwest of Norman Wells in the Beaufort Delta. It is a sub base for North-Wright Airways and we offer service to Aklavik (seasonal), Fort McPherson (seasonal) and Fort Good Hope. Inuvik is an entry point for the Canadian Arctic. Inuvik was established in 1954 when severe flooding in the small community of Aklavik occurred and the federal government relocated the community to a large, high, level area where flooding was not likely. Today Inuvik is largely based around the oil industry in the Beaufort Sea area. The community has a wealth of local art and northern history, and a culture combining Dene and Inuit. Inuvik is a starting point for sightseeing tours of the Arctic coastline, Mad Trapper tours in Aklavik and lost patrol tours in Fort McPherson. Deline is a beautiful community located on Great Bear Lake one of the largest fresh water lakes in the world, 100 miles northeast of Norman Wells. The community became a permanent settlement in 1952 when the federal government built a school. Along with the RCMP, Hudson’s Bay Company and missionaries, Dene families began to move to the settlement. 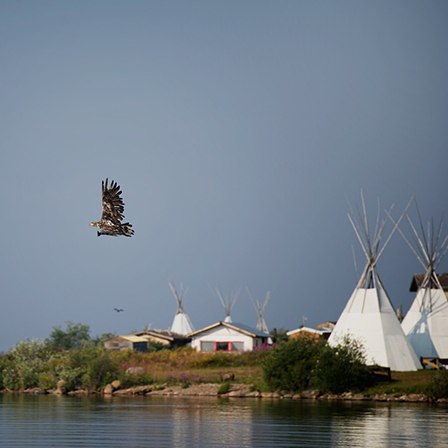 Today Deline is a self governed community that believes in a traditional lifestyle and many of the inhabitants rely on fishing and hunting as a way of life. North-Wright Airways services Deline twice a day Monday through Friday and once on Saturday. 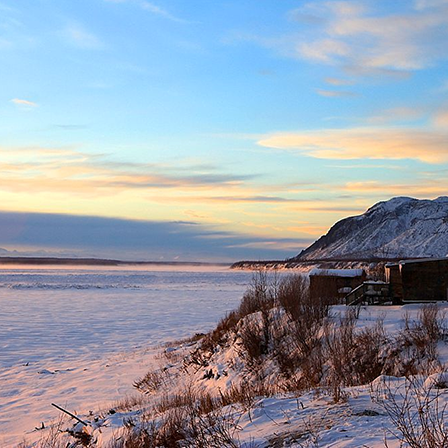 Guests traveling to Deline can enjoy modern amenities while staying at the Grey Goose lodge and can expect friendly hospitality while seeing the sights such as the Prophet’s cabin. Enjoy world class fishing on one of the best trout fishing lakes in the world. Colville Lake is a relatively new community which was started in 1962 by missionary and Roman Catholic priest Bern Will Brown. Bern is a northern painter and author and still lives in the community, he also owns a local museum that any passerby should make the time to visit. 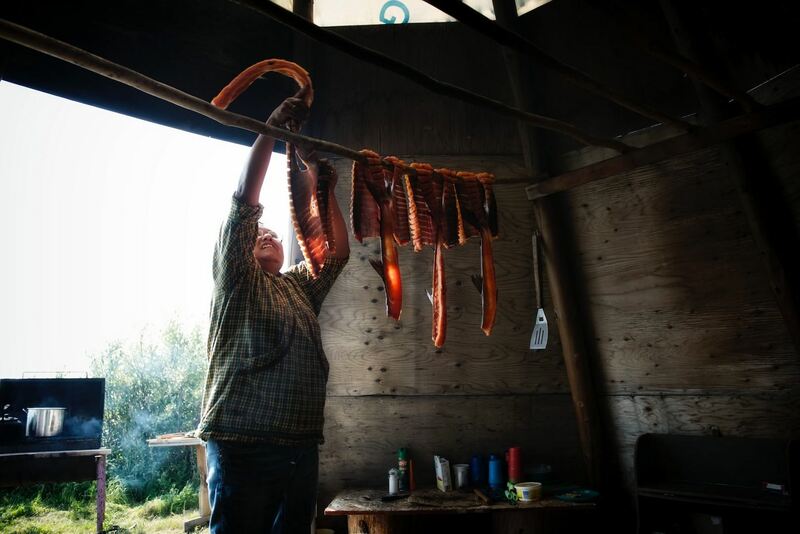 Colville Lake is a mostly traditional Dene community relying largely on hunting, trapping and fishing. 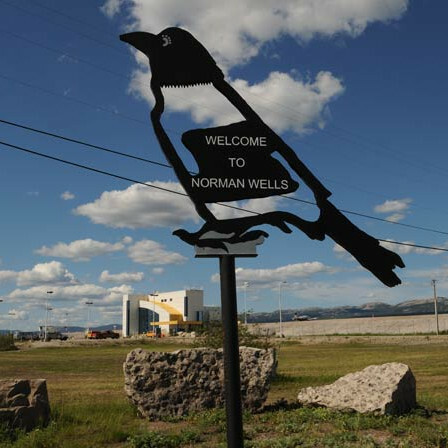 The community is located just north of the Arctic Circle approximately 124 north of Norman Wells. North-Wright Airways has scheduled service into the community four days per week out of Norman Wells and has a connecting flight out of Inuvik through Fort Good Hope three days per week. Colville Lake has a bed and breakfast along with a fishing lodge which offers an exceptional true northern experience. Tulita is located a short 45 miles east of Norman Wells and is on the shoreline of the Great Bear and Mackenzie rivers. The community was established in 1810 as a Northwest Trading Post that was the entry point for Sir John Franklin’s expeditions. Today the community relies on hunting, fishing and trapping. The inhabitants of Tulita include Metis, Mountain Dene and Dene families. Guests traveling to Tulita can look forward to seeing Bear Rock and the clear water of the Bear River spilling into the muddy Mackenzie. North-Wright Airways services Tulita twice daily Monday through Friday and once on Saturday. Tulita has lots to offer in the way of history for those willing to learn. The Mackenzie Delta is one of the world’s great scenic areas. 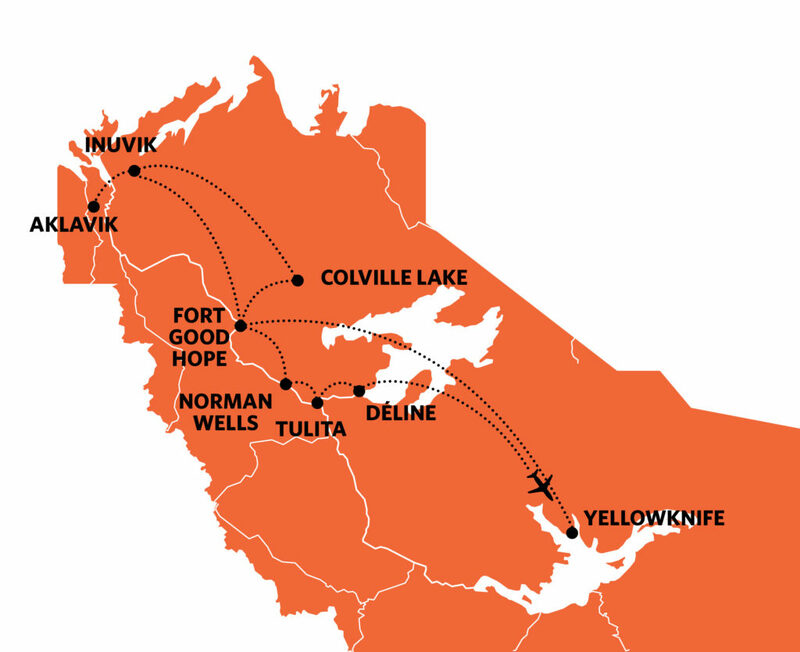 Explore Inuvik, regional headquarters and jumping off point for Delta tours with North-Wright Airways. The vast, unspoiled Delta is well worth viewing from the air, with its myriad channels and islands, and its variety of wildlife. Fly to Aklavik on the west side of the Delta to see the northern reaches of the Rocky Mountains. Tour Tuktoyaktuk, where some 1400 pingos or frozen hills dot the flat coastline like sentinels. North-Wright also flies to Fort McPherson during spring break-up and fall freeze-up, when the community is not accessible by road. Aklavik is located on the west shore of the Peel Channel of the Mackenzie Delta and is 40 miles west of Inuvik. North-Wright Airways provides service to the community when the ice road no longer supports traffic and throughout the summer months. The community is served three times per day Monday through Friday and twice daily on the weekends. Aklavik is the final resting place for the infamous Albert Johnson (also known as the Mad Trapper of Rat River) who was shot and killed by RCMP members after firing upon and killing a few officers during the winter of 1931-32. The whole chase and gun fights lasted 42 days and aircraft and radios were introduced to aid in the search. During the 1950s the banks of the Peel channel were quickly eroding and some of the town had to be evacuated to a new community which soon became known as Inuvik. The people of Aklavik largely depend on hunting, trapping and fishing as part of their traditional life. Inuvik is situated on the east arm of the Mackenzie River 300 miles northwest of Norman Wells in the Beaufort Delta. It is a sub base for North-Wright Airways and we offer service to Aklavik (seasonal), Fort McPherson (seasonal) and Fort Good Hope. Inuvik is an entry point for the Canadian Arctic. Inuvik was established in 1954 when severe flooding in the small community of Aklavik occurred and the federal government relocated the community to a large, high, level area where flooding was not likely. Today Inuvik is largely based around the oil industry in the Beaufort Sea area. The community has a wealth of local art and northern history, and a culture combining Dene and Inuit. Inuvik is a starting point for sightseeing tours of the Arctic coastline, Mad Trapper tours in Aklavik and lost patrol tours in Fort MacPherson. 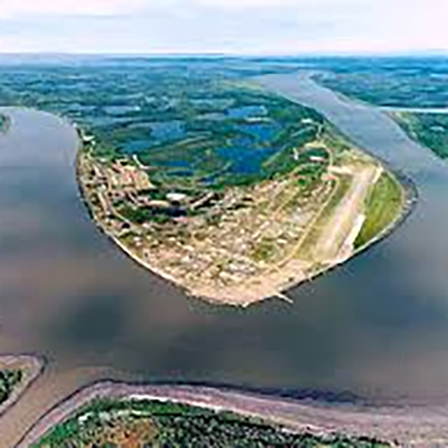 Fort McPherson is located on the east bank of the Peel River 70 miles south of Inuvik. 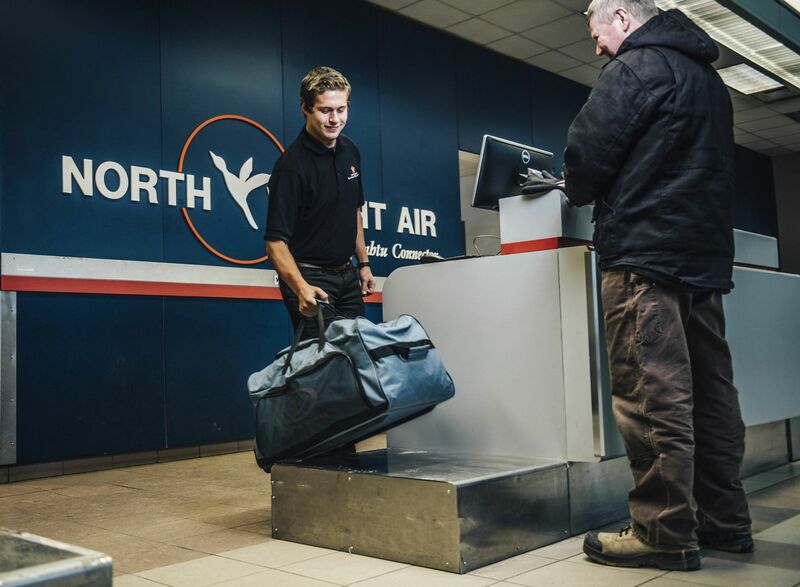 North-Wright Airways provides service to the community twice a year during freeze up and breakup when the Dempster Highway and the river ferries do not operate. The community was established in 1840 when the Hudson Bay Company set up a post. 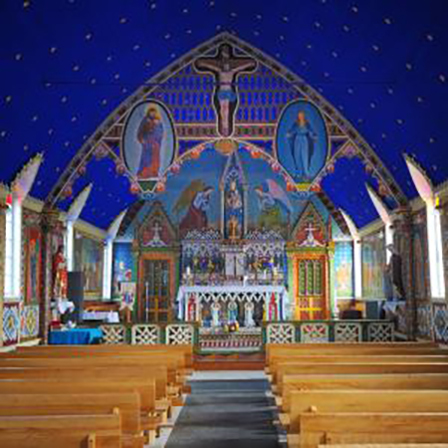 Twenty years later Father Grollier started an Anglican mission there and the RCMP followed building a detachment there in 1903. The RCMP regularly patrolled the Mackenzie Mountains between Fort McPherson and Dawson City. In 1911 Inspector Fitzgerald and three officers perished while on patrol and became known as the Lost Patrol. Many residents rely largely on hunting, trapping and fishing. This is also home of the Fort McPherson Tent and Canvas shop.